All this, along with our customized solutions and strict adherence to quality management system have helped us to garner the trust and goodwill of global clientele. S .V. Enterprises is able to manufacture materials which undertake Pneumatic Hydraulic Electronic & Electrical Components. Manufacturing and Trading of Industrial Machines. 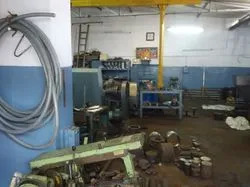 Company founded in the year 1994 by N.Krishnappa is catering to Small & Medium scale industries in India by providing services in wide range of machines and components. N. Krishnappa being the proprietor of this company is an well experienced engineer & had worked in BEML as machinery maintenance engineer & with his vast experience in machine tool machinations. He started this esteemed company to manufacture special purpose machines and machinery components and has got a good history of satisfactory customers all over country and abroad. SV Enterprises aims at providing good services to customers to satisfy their requirements with effective solutions and also in a very economic way. 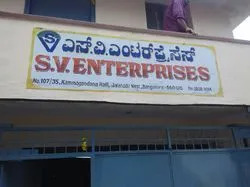 Having the work experience for 3 decades N. Krishnappa proprietor of SV Enterprises has built a strong technical team expertize in different fields like Mechanical, Electrical and Electronics who work with their experimentation with united force to achieve the goal of custom satisfaction by providing them with solutions for their products manufacturing. With the strong R & D Team work SV Enterprises has manufactured wide range of SPM's which comprises of Aluminum Bottle Necking machines & Connected machines for Aluminium Bottle Industries, Paper Slitting and rewinding Machines, connected machines for Packaging industries, Product automation solution for processing industries. Above all this activities SV Enterprises supports its customers with service and maintenance for processing machines. SV Enterprises also supplies its customers with Consultancy Services. Our towering success and consistent growth over the years has been possible because of the unremitting efforts of our team. Being proficient in their endeavors, they work hard to improve their skills and adapt to emerging technological advancements in the processing industry. They work in close association with each other and our clients and ascertain that the orders are executed with perfection and timeliness. Being talented, experienced and trained in their domain, they are the driving force behind our organization.